The festival will be on February 15 and 16, 2019 at the City of Knowledge. It will gather the best craft beer offers from local producers and international. 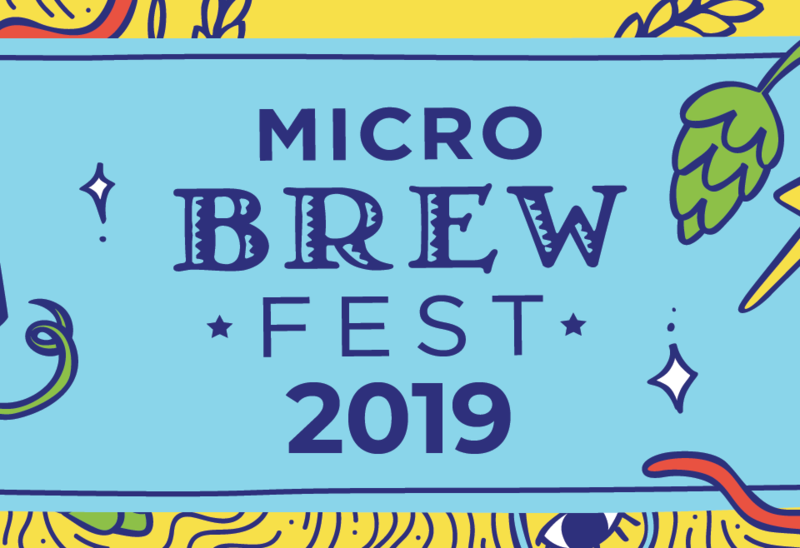 The Micro Brew Fest (MBF) returns to the Panamanian summer again in its seventh edition. Once again it will provide the opportunity to enjoy the largest congregation of craft beers, delicious food, good music and an excellent space in where to enjoy the hot days with friends, family, and even pets. The festival will take place on February 15 and 16, 2019 at the City of Knowledge (Ciudad del Saber), and will once again bring together the best craft beer offers from producers and local and international importers. Year after year, the festival has stood out for its exponential growth, its excellent organization and innovative ideas that characterize each new edition of the event. At 2019 the festival maintains its location in the green areas of the City of Knowledge (Ciudad del Saber), where attendees can enjoy a natural landscape, a quiet and enjoyable environment, in addition to sharing with other craft beer enthusiasts while they taste different styles of beer. “The Micro Brew Fest is still the perfect opportunity for lovers of craft beer to enjoy, know and acquire knowledge of their preferred drinks..” It should be noted that at the MBF 2019, more than 200 varieties of beers can be tasted, “said Teddy Fábrega, one of the organizers of the MBF. Additionally, the festival has become a meeting point where beer producers, sellers, amateurs, distributors and consumers craftsmen can meet to talk, exchange ideas, talk about business and cement relationships with positive promises in the future. In this seventh edition, the festival strengthens the professional branch (MBF PRO), promoting three main events: MBF HUB (business), MBF Masterclass (education) and El Barrilito de Oro (recognition and friendly competitiveness). The MBF has created a space dedicated exclusively to the professional world of craft beer called the MBF HUB. This space aims to connect to the various players in the industry, giving them the opportunity to schedule meetings customized during the days of the event. The purpose of this space is to promote the relationships required to provide greater opportunities for development in the craft beer industry in Panama and in the world. Another great initiative that takes more and more strength is the MBF Masterclass. Through this platform, the MBF joins national and international experts, recognized worldwide in the world of craft beer, to impart knowledge to those who are engaged in the craft beer business or to whom have a general interest in knowing more about the subject. In 2015 the MBF inaugurated the Barrilito de Oro Cup, a contest where national and international homebrewers have the opportunity to submit their homemade breweries before a recognized panel of highly recognized local and international judges. By 2019, the Copa Barrilito de Oro will open its doors for the first time before a professional and international platform, and expects to receive registrations from renowned breweries around the world. The organizers of the MBF seek to elevate this competition to become a stamp for Panama and the region, and join the platform of high caliber competitions and recognition globally. EL Barrilito de Oro is endorsed by the prestigious Beer Judge Certification Program (BJCP) of the United States United, and gives the contestants the opportunity to receive awards, recognition, and to position their beer creations high in the world of craft beer. Whether to enjoy a pleasant afternoon in an environment surrounded by nature, good vibe and company, try the latest in the craft brewing offer of Panama and the region, have a good time with friends, families and pets, generate new business contacts, or enter the world of friendly beer competitiveness, the MBF opens its doors to you on February 15 and 16, 2019. Tickets will be in pre-sale from November 15, 2018 through Panatickets and MasterCard cardholders will receive a 10% discount on the advance purchase. We look forward to this event to raise our glasses and toast together, Cheers!